As the leading car leasing company in the city, NYC Car Lease provides you with a high-quality vehicle of any type, and in the process saves you a significant amount of money. We guarantee our treasured clients that all the different car models including the MINI Cooper, MINI Clubman, MINI Roadster and MINI Convertible are available. No matter which of them you happen to be looking for; we can easily get it for you. All services come at the best prices, so you’re sure of landing the best leasing deal from NYC Car Lease. The MINI lineup of models became very popular in a very short span since they got availed at car dealerships. They have great comfortability and are very reliable regarding fuel consumption. 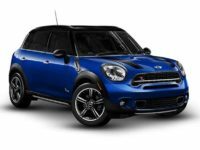 For instance, the MINI Countryman manages 27 Miles-Per-Gallon in the City and 32 Miles-Per-Gallon on highways. The aesthetics of the MINI line of cars is also quite attractive. 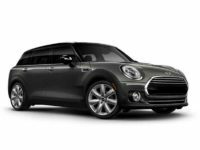 Some of the MINI models that you’ll see in our inventory include the MINI Coupe, the MINI Cooper Paceman, and the MINI Cooper Roadster. 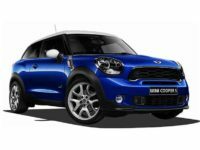 We also have the MINI Cooper Countryman and the MINI Cooper Clubman. We have all the models from other vehicle brands as well; so whatever you need, just remember that we have it for you. 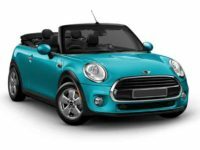 Moreover, if you’re in the market looking for any of the MINI models, then you’ve to ensure that you acquire nothing less than the best MINI leasing deal. Here at NYC Car Lease, we guarantee all these. In addition to the high-quality vehicle and affordable prices, you’ll love the entire leasing experience. 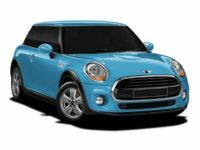 Are you in the market looking for a MINI or any other type of vehicle? At NYC Car Lease we do our best to ensure that our customers get the best car leasing deal and that everything goes perfectly during the whole experience. Our business is so well-articulated such that all clients can browse through our selection of cars right from their comfy couch at home. Clients can always go through our site where we have listed thousands of different car models of various types of vehicles. At NYC Car Lease, clients are never pressured to make a purchase neither do they go through any kind of harassment by a sales agent. NYC Car Lease has the best dealer-client relationship, and our personnel upholds high customer integrity, unlike traditional auto leasing dealerships that bother you. Therefore, we look forward to all our esteemed clients having a peaceful time looking at our inventory, reading about the car models and much more. After making the right choice, our car experts will guide you through the car leasing process so that you get the vehicle you desire in the shortest time possible. Whether you’re ready to finalize your MINI lease, or if you just have some questions to inquire, please don’t hesitate to give us a call at 929-239-3040. We are more than glad to talk with you about your options and assist you to acquire the vehicle of your dreams. Remember, at NYC Car Lease all the makes and models from the various car manufacturers are available. Thus, whatever you need, we have it for you.